When I put out a call for novels about the Amish recently, YA Fanatic responded with Plain Truth. I had actually already been considering reading this after thoroughly enjoying The Storyteller and feeling compelled to read more of Jodi Picoult's work. I'm really glad that YA Fanatic encouraged my instincts, because Plain Truth was a great book. It wasn't exactly what I had in mind - I was hoping for a little more of a romance - but it was compelling none the less, and it was definitely more thought-provoking than I think a romance would have been, which is always appreciated. The mystery with this book is fantastically crafted. We're presented with facts: a young Amish girl secretly gave birth to a baby in her father's barn and the next morning, a dead baby was found. The girl vehemently denies giving birth at all, despite the medical evidence of this, and the evidence quickly frames her as a murderer. But many questions are left, especially given that Katie Fisher refuses to answer any: who was the baby's father? Why would Katie kill her baby? And, most importantly, if Katie didn't kill her baby, who did? Picoult answers these questions without info-dumping and she managed to leave me in the dark up to the very last page, even when I felt like everything had been answered. This story is definitely plot driven - I feel confident saying this because I didn't really like any of the characters, and characters are usually a huge component in motivating me to keep reading. 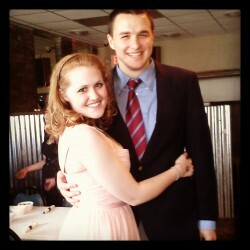 I found Katie to be unnecessarily difficult and petulant. Ellie was grouchy and incredibly stupid about her love life. None of the other characters were really all that interesting. The fact that I remained so interested in the story despite not really truly caring for any of the characters shows how compelling the story was. Equally important to me was the level of research that Picoult dedicated to this book. I wanted to read an Amish book because I find Amish culture to be fascinating and I wanted to read a book that would cater to my interest in this humble group of people. However, I was not looking for a book that portrayed them as perfect - as Picoult reminds her readers constantly throughout Plain Truth, the Amish are human, and thus imperfect. I find that most of the few books that I've read about the Amish forget this and I was happy to read one that recognized it. Additionally, the book was a bit more interesting to me simply due to its setting. The towns mentioned in Plain Truth are less than an hour from my house, and I've visited many of them. It was really cool to read about them in such a successful book. I really enjoyed reading Plain Truth. I found it to be a well-researched and well-written book that told a difficult story with grace and tact. Although I wasn't overly fond of any of the characters, I was absorbed in the story, which just makes my interest even more impressive. 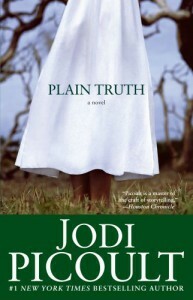 If you're interested in the Amish or you're looking for a unique mystery/crime novel that differs from many others you'll find on the shelves of your library or book store, Plain Truth might be a good book for you to look into reading.